Photo courtesy of Chaplin's World and Bubbles Incorporated. 1. Other than his last few films, Chaplin never used a finished script while making his movies. Hence, he would spend much more time and money on his films than the major studio films of the time. 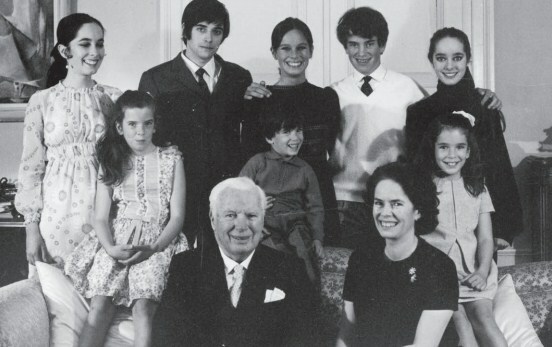 Charlie Chaplin and Oona O’Neill with their eight children. 2. Charlie Chaplin was 54 when he married his fourth wife Oona O’Neill, who was 18 at the time. Together they had eight children, the youngest of whom was born when Chaplin was 73 years old. 3. Despite living in United States for almost 40 years, he never became an American citizen. Due in part to the film Modern Times, he was seen a communist sympathiser. In 1952, during a visit to England, the U.S government revoked in re-entry permit, thus essentially exiling him. 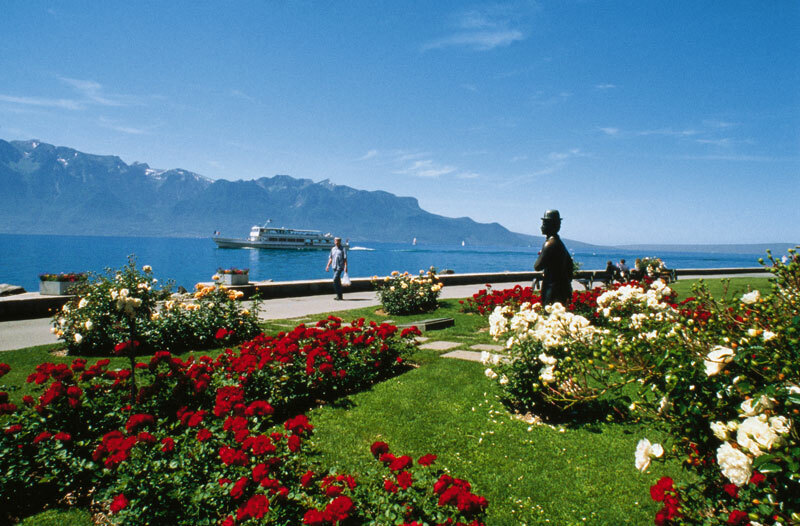 Chaplin then moved with his family to Switzerland, where he lived at the Manoir de Ban in Corsier-sur-Vevey. 4. Apart from writing and starring in them, Chaplin also directed, produced, edited and composed music for most of his films. In fact, he was an accomplished, self-taught musician. 5. Chaplin’s most famous character, the Little Tramp, was conducive for silent movies. Due to this, he wasn’t an early adopter of the new technology for talking films. He feared it would ruin the character’s signature miming style of humour. He only released his first film with dialogues and music in 1940. It was The Great Dictator, in which he played a satirical version of Hitler, playing a character other than the Little Tramp after almost 20 years. 6. 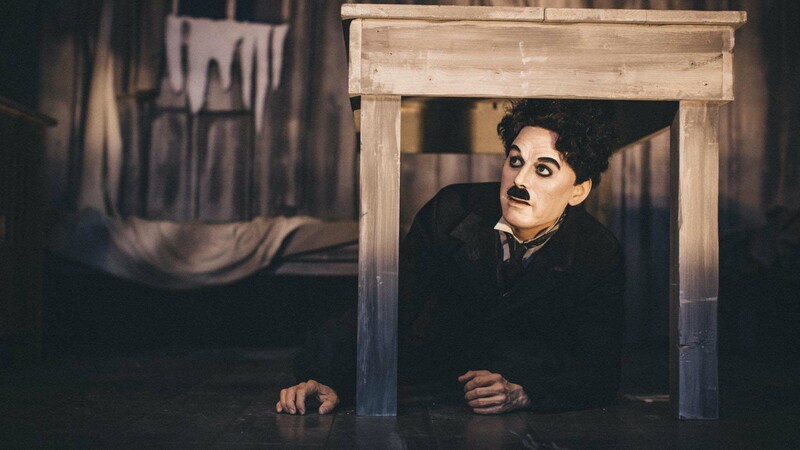 Charlie Chaplin made his stage debut at the age of 5. He was called on stage to sing, after his mother’s voice had failed her in front of a crowd of rowdy soldiers. A few years later, he became a professional performer by touring with vaudeville acts, joining a clog-dancing troupe and doing theatre roles. 7. In 1975, Chaplin was awarded a Knighthood by Queen Elizabeth II. 8. At 12 minutes, he holds the record for the longest standing ovation at an Oscar ceremony. 9. 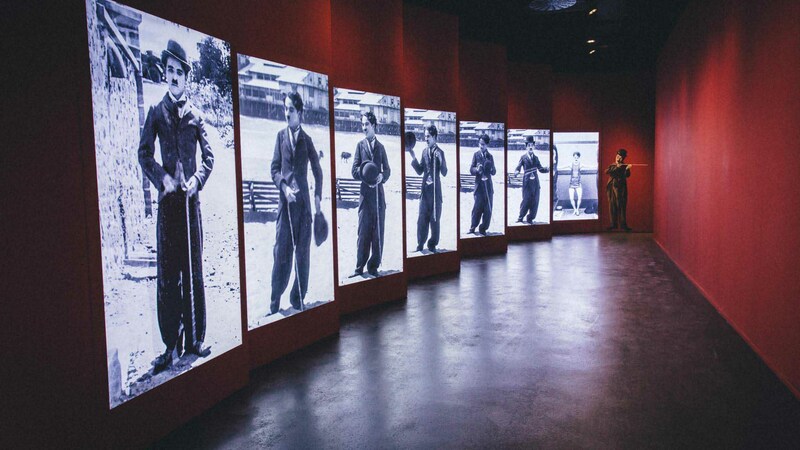 This April, after 15 years of planning, a museum dedicated to the screen legend has opened in the village of Corsier-sur-Vevey in Switzerland. 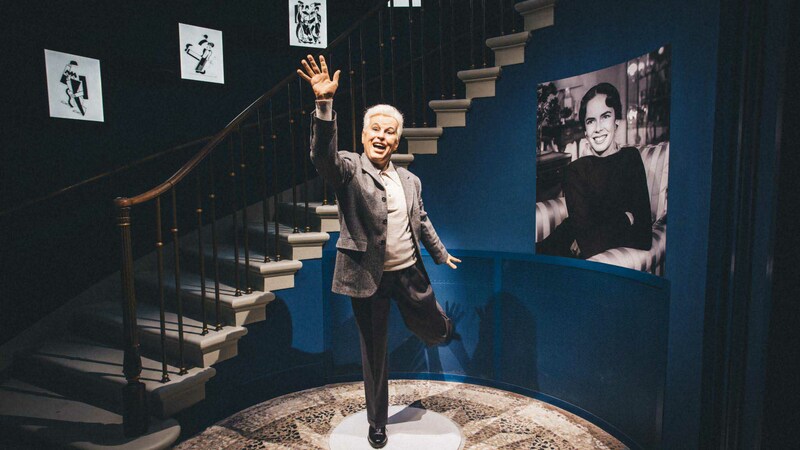 Fans can visit Chaplin’s World to immerse themselves in his life and work. 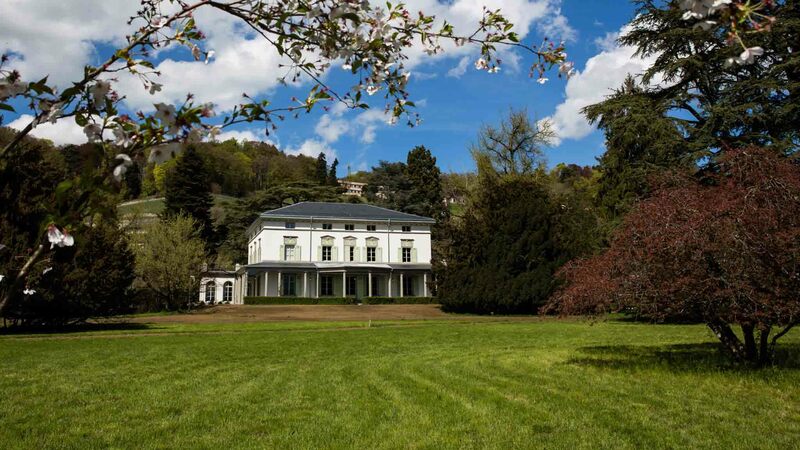 The Manoir de Ban, where he spent his last years, is now part of the museum. 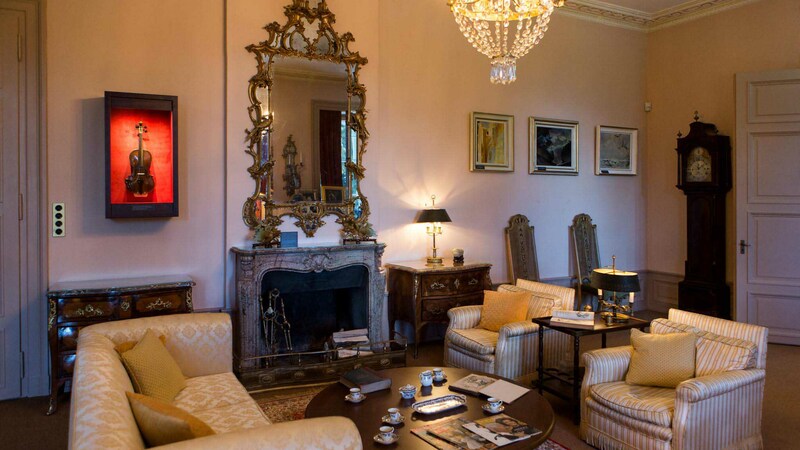 Spaces like his library, where he wrote and his living room, where he would meet famous musicians have been recreated using his personal items that are now exhibited there. 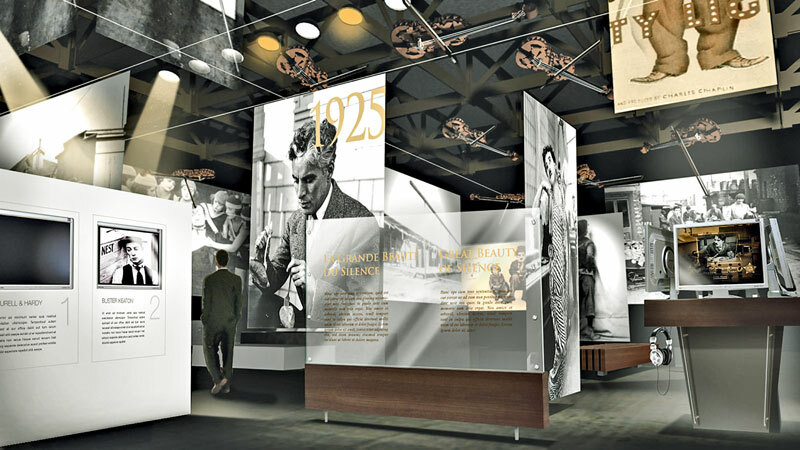 The museum also includes The Studio, where people can see how his movies were shot, edited, scored and completed. The Living Room in the Manoir de Ban.